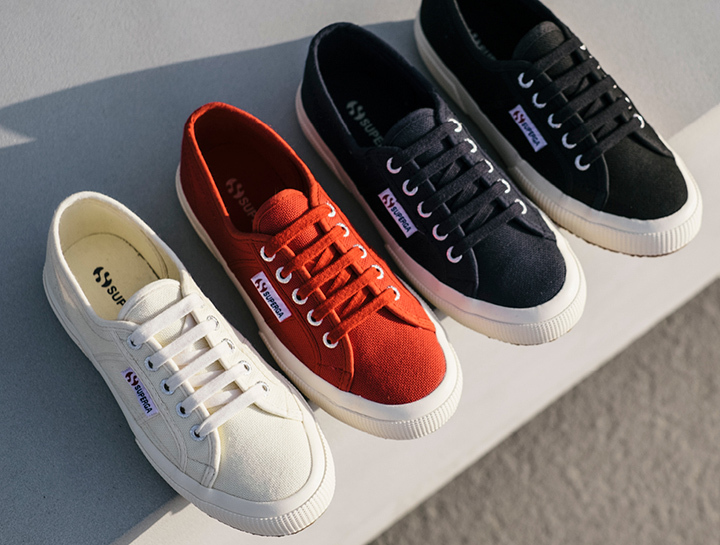 Superga® is the iconic footwear brand for sports and leisure time that used the innovative rubber vulcanisation technology for the first time in 1911. Such technology was employed to create footwear for the mass market. The most popular model, 2750, has been produced since 1925: this is the first tennis shoe realized with a rubber sole. Today Superga® shoes can be fully defined as the “People's Shoes of Italy”, due to their prestige and reputation. The history – The Superga® brand was created on October 3rd 1911, when the company Società Anonima per Azioni Walter Martiny started producing waterproof rubber-soled boots for agriculture, and vulcanised rubber-soled footwear. In 1934 Superga® counted many models used in sports activities (tennis, basketball, yachting, fitness training). In 1951 the merger with Pirelli improved production to a great extent: between 1952 and 1975 the number of pairs of shoes produced jumped from 2 to 12 million per year. In 1993 Superga® spun off from Pirelli and joined the So.PA.F group until, in February 2004, BasicNet became its sole world licensee and in 2007 acquired its entire stake. 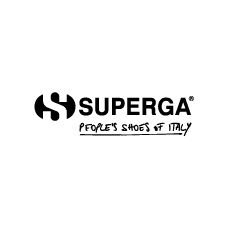 Superga® is a brand of BasicNet SpA, the Company owner of the brands Kappa®, Robe di Kappa®, Jesus® Jeans, Lanzera®, K-Way®, AnziBesson® and Sabelt®, present in the sports and leisure apparel, footwear and accessories market. It operates worldwide through an international network of entrepreneurs, licensees of the brands, which produce or distribuite the products. BasicNet offers to its network services of research, development, industrialization of the products and global marketing. All the company processes occur only through the Web, making BasicNet a “fully web integrated company”. BasicNet, with headquarters in Turin, Italy, is listed at the Italian Stock Exchange since 1999.